“Mom, I’m hungry!” Do you hear that a lot? I certainly do, especially after school, before dinner, after dinner…you get the point. My kids typically have some fruit or crackers and cheese for a snack but every now and then I like to change things up. Here are some Kids Snack Ideas that kids will satisfy a hungry kid. They are also fun to make and eat together. Don’t forget to check out these other ideas for cooking with kids. Why make ordinary ice Popsicles when you can make pudding Popsicles? These are made with just a few ingredients and will really cool you off on a hot day. Plus, I just think they look so neat! This popcorn bar makes the perfect afternoon or evening snack. I think it would be ideal for hosting a play date too! Can’t wait to try it at our next one. 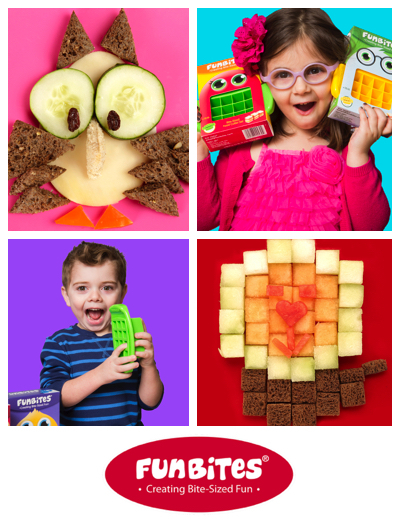 A wonderful collection of snacks your kids will love eating and making! You will really DIG this recipe! I just love how this combines a delicious snack with a book and a fun activity. So clever! I scream, you scream, we all scream for ice cream…cupcakes! Your kids might think this is a real ice cream cone. This snack is sure to get raves and is simple to make. This pretty snack requires no real cooking unless you count the few minutes of melting the candy coating. A yummy snack and science lesson all rolled into one. Kids get to make their own ice cream in a bag and learn about how it comes together. A yummy shortbread recipe plus lots of ideas for using cookie baking to teach important lessons. The perfect drink to go with an after school snack. So refreshing and the kids can help make it! A great way to use up ripened bananas. This is such a fun recipe for kids to help with as they will have a blast mashing up the bananas. If you struggle with picky eaters like I do, you know you will try anything to entice them to eat. Something that we have had success with are Funbites. This food cutter which has been seen on Shark Tank cuts food into bite sized fun shapes which makes food look so inviting and fun!